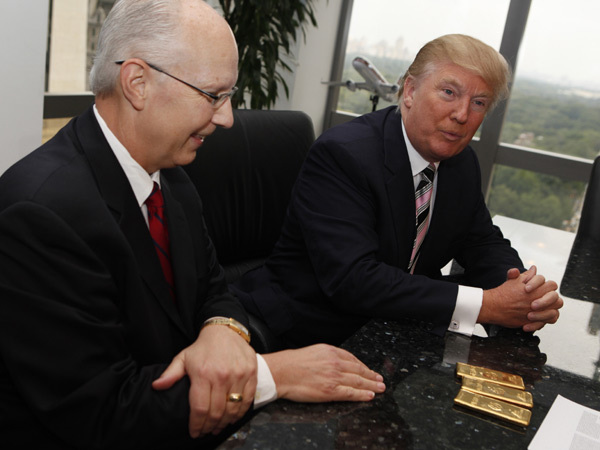 The new tenant is precious metals dealer Apmex and it souds like their CEO, Mr. Haynes, took the opportunity to create some fine exposure. The Donald too, as he never misses out on such occasions. News that Trump is backing gold comes after the metal has already skyrocketed in price. Gold has so far jumped nearly 30% so far this year, and more than 500% in a decade. On a closing note: the gold in this transaction is just the security deposit. I reckon the tenant will pay the rent in dollars.